Captain Bruce Weinstein is licensed by the United States Coast Guard with a 50 gross ton master captain’s license. 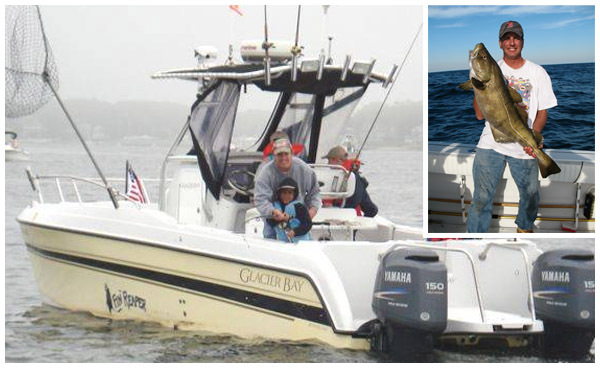 He has been fishing the waters off Southern New England his entire life and will work hard for you to have a great time fishing. The “Fin Reaper” is a 2006 26-ft Glacier Bay Canyon Runner catamaran, fully equipped with top notch gear that will get you to the fishing grounds quickly and safely. Sailing from Snug Harbor, RI, you’re just minutes away from the open Atlantic Ocean. Reserve early for the best 2010 dates!